The State Library of NSW (SLNSW) has announced the six recipients of its 2019 research fellowships, including the inaugural Dr A M Hertzberg Fellowship, which examines ‘the impact of globalisation on Australian industry’. Elizabeth Humphrys for Pressed and strained: the lives of metal workers in the era of globalisation (1970‐1990), which will examine how changes to the metals industry, brought about by globalisation, has impacted on the lives of their largely blue‐collar workforce. Ian Hoskins for Re‐imagining the Pacific: exploring white Australian identification with its near neighbours 1870‐1970, which examines the underappreciated relationship of European Australia with the Pacific, prior to the independence movements of the 1970s. Kate Forsyth for Charlotte Atkinson: Australia’s first children’s writer, which will examine the life of her relative Charlotte Atkinson, who anonymously published the first children’s book written in Australia in the aftermath of great personal trauma, including poverty, domestic violence and a custody battle. Stephen Jackson for Sunday morning empire: Protestantism and empire in the British world, 1880‐1970, which considers how Protestant Sunday schools helped frame an imperial identity in the early part of the 20th century, across the Anglo‐world, and Australia in particular. Barrett Meyering for Pipi Storm Theatre Company: A cultural history of children’s rights, which examines the growth of the idea of children’s rights from the 1970s through the library’s extensive collections of papers of the Pipi Storm Theatre, which delivered theatre across NSW schools and welfare institutions. Rebecca Hamilton for Conservation mapping: a case study of Sydney’s 19th century water reserves, which will draw on historic data to try to determine the actual history of places now regarded as natural and historic landscapes. In part, she will test claims of ‘pristine’ environments thought to have escaped European development. Fellows will have exclusive access to the library’s new Fellows Room and special access to library expertise. 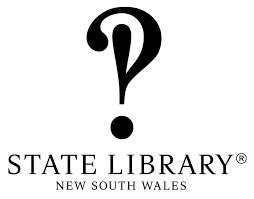 For more information, see the SLNSW website.